The treatments during probation/parole supervision are provided according to the circumstances of the individual probationers/parolees. The treatment has also been improved through the use of various measures that are mainly based on graduated treatment, and categorized treatment. Graduated treatment is a system which classifies probationers/parolees into one of four different treatment levels according to their progress in reformation/rehabilitation, their probability of repeating offenses, and their necessity for guidance, assistance, etc., and in accordance with the level they belong to, differing levels of involvement and frequency ofcontact ofprobation officers isprovided. Parolees sentenced to life imprisonment or long-term imprisonment (refers to imprisonment for 10 years or more) face various difficulties in reintegrating themselves back into society and hence are classified into the highest level for the first year after their release and are provided with substantial treatment involving multiple probation officers, if necessary. Categorized treatment means to categorize probationers/parolees according to common problems and other characteristics as perceived through their offenses and other circumstances and to focus the treatment to efficiently address these problems. For those probationers/parolees with specific criminal tendencies, specialized treatment pfrograms built upon psychological and other expertise are provided as a part of guidance/supervision. 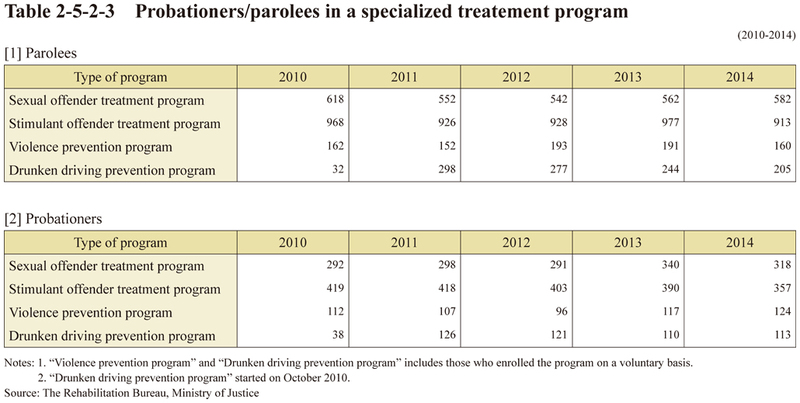 Table 2-5-2-3 shows the number of probationers/parolees who received specialized treatment programs in respective years.